Lauren?O’Malley went 3 for 3 at the plate, leading?Montoursville’s softball team to a 3-2 win over Warrior Run on Wednesday. O’Malley was Montoursville’s only batter with multiple hits. Gabby Heiss, Gina Beyer, McKenna Beyer and?Maddie Beyer all had two hits for Warrior Run. Williamson defeated Canton, 13-5. Williamson scored six runs in the first inning. Jersey Shore blanked Shamokin, 9-0, as Jess Willits and?Katelyn?Stover both had three hits apiece and?Kinlea Westlin had a triple. Makenna Budman was 2 for 2 with a home run, but Hughesville would fall to Southern Columbia, 12-2. Milton posted one run in the fifth and seventh innings to defeat South Williamsport, 2-0. Kailee Clymer hit a triple over the centerfielder, which scored Bree Keane for the walk-off win as Wellsboro defeated Wyalusing, 1-0. Allen Saar went 2 for 4 with a double while Lance Welsh was 2 for 5 and Jersey Shore rallied to defeat Milton, 2-1, in baseball. Milton took a 1-0 lead in the bottom of the third inning before Jersey Shore tied it with a run in the fifth. ?Shore scored its game-winning run in the top of the ninth. Joe Allen pitched a two-hitter and Dawson Prough scored twice as Wellsboro defeated Wyalusing, 5-2. Dylan Gordon pitched a complete game with eleven strikeouts as Montgomery overcame six errors to defeat Millville, 4-2. Gage Yohn had two RBIs for the Red Raiders. Zack Campbell went 2 for 3 with a double and RBI and Alex Welch recorded a double and two RBIs as Hughesville defeated Central Columbia, 12-1, in five innings to improve to 4-0 on the year. Mansfield exploded for 12 runs in the fourth, fifth and sixth innings to rally from behind and defeat Athens, 13-3. Dewey Wise was 3 for 4 with four RBIs and two doubles. Gideon Green threw his second straight complete-game gem, throwing a 3-hitter as South Williamsport defeated Warrior Run, 4-1. Green threw just 83 pitches in a game that lasted 1 hour, 25 minutes. The Mounties snapped Warrior Run’s four-game winning streak. Shamokin scored twice in the bottom of the seventh to tie the game, then scored a run in the ninth for the 4-3 win over Lewisburg. Jack Marrara and Sam Rosevear both had a hit for Lewisburg. Montoursville started its season with a 9-8 loss to Shikellamy. Kevin Fox, Brycen Mussina and Bryce Ranck all had multiple RBIs for Montoursville. Two wins in singles competition helped Loyalsock defeat South?Williamsport in boys tennis, 3-2. Austin?Martin won, 7-5, 5-7, 10-4, at No. 1 singles for Loyalsock to defeat McGwire Molino while Sahil Bhagat won for the?Lancers at No. 3 singles. Williamsport defeated Montoursville, 3-2, to stay undefeated at 5-0 on the season. Kevin?Zheng won, 6-3, 6-4, at No. 1 singles for the?Millionaires. Central Mountain’s Kline Williams defeated Milton’s Steve Yordy, 6-2, 6-3, at No. 1 singles to help the Wildcats defeat the?Black Panthers, 5-0. Lewisburg swept a doubleheader against Danville, winning both contests, 5-0. Tim?Sprunt won at No. 2 singles for Lewisburg, 6-0, 6-0, in the first match and won at No. 1 singles in the second match ,6-1, 6-0. Galeton defeated North Penn-Liberty in a doubleheader, winning both contests, 7-0. Selinsgrove defeated Jersey Shore, 3-2. Jersey Shore’s doubles duo of Jake?Butzler and Dominic Maneval won at No. 1 doubles while Todd Sanford won at No. 1 singles. Braden Foresman picked up Hughesville’s only win at No. 3 singles as Bloomsburg won, 4-1. Heather Merrifield won the 100 and 300 hurdles for Hughesville, winning in 16.2 and 48.0, respectively, as the Spartans’ girls track and field team defeated Southern Columbia, 80-70. Hughesville fell to Southern Columbia, 108-42, in boys track and field to fall to 0-3 on the season. The Spartans’ Brenden?Gardner won the 110 hurdles in 16.1 while also taking first in the high jump. The No. 12 Lock Haven University women’s lacrosse team fell to No. 7 West Chester, 13-4, in PSAC action. Hope Thomas scored twice for the Bald Eagles. Lycoming junior Peter Pluta notched two goals and an assist to lead the Lycoming College men’s lacrosse team, but a run of nine straight goals helped Messiah post a 16-5 win. The first four hitters in the Bucknell lineup singled in the top of the first inning and the Bison baseball team led after the top of the second, but St. Bonaventure scored five runs in the bottom of the sixth and five Bonnies pitchers held Bucknell scoreless over its final seven at bats to win, 6-4. Penn?College swept Summit?University in a doubleheader, winning both contests by a score of 13-1. In the first game, Williamsport grad Noah Esposito went 3 for 4 with a double and two RBIs. Lycoming junior Kelcie Crabb and sophomore Ashley Schoenstadt each recorded two hits to lead the Lycoming softball team, but the team fell victim to 18th-ranked Messiah, falling 2-1 and 11-2 in a doubleheader. Milton grad Kristi Weaver had a double in the first game while Messiah’s?Brooke?Pompeo, a Williamsport grad, was 4 for 5 with a double and triple in the seond game. Ashley Inman pitched a complete-game victory and Laura Lawson drilled a pair of home runs to lead Mansfield softball to a PSAC Central division sweep of Clarion Wednesday afternoon, winning 10-1 and 13-4. Jackie Vognetz and Haley Miller. Korin Dangle and?Kourtney Phillips. W:?Dangle.?L:?Vognetz. Top?Warrior Run hitters: Gabby Heiss 2-4; Gina Beyer 2-4; McKenna Beyer 2-4; Maddie Beyer, 2 1B.. Top Montoursville hitters: Lauren?O’Malley 3-3; Kourtney Phillips 1-2; M.?Shaffer 1-2. Records:?Warrior?Run?(2-1). Next game: Loyalsock at Warrior Run, today. S.?Baxter and?K. Colegrove. E. Katana and B. Ward, L. Watkins. W:?Baxter.?L:?Katana. Top Williamson hitters: S. Baxter, 1B; K. Colegrove, 2 1B; S. Herrington, 1B; A.?Regalbuts, 2 1B; E. Hacket, 1B; K.?Shaffer, 1B; H. Fitmarin, 1B, 2B, 2 RBIs. Top?Canton hitters: B. Ward, 1B; L.?Watkins, 3B; E.?Katana, HR, 3 RBIs; A. Roy, HR. Kaia Bonshock, Alexa Faus (4) and?Madison?Rodarmel, Bonshock (4). Katie Cowfer, Jess Allen (7) and?Jess Willits. W:?Cowfer. L:?Bonshock. Sv:?Allen. Top?Shamokin hitters: Kelsey Dunn 2-3. Top Jersey Shore hitters: Jess Willits 3-4; Lydia Yorks 1-4, 2B; Katelyn?Stover 3-3, 2B; Ashlyn Wool 1-1; Kinlea Westlin 2-3, 3B. Records:?Jersey Shore?(2-0). ?Next game: Danville at Jersey Shore, today, 4:30 p.m.
Paige Ramin, Ellie Watts and Emily Watts. Herr and Blair Johnston. W: Herr. L: Ramin. Top Hughesville hitters: Makenna Budman 2-2, HR; Paige Ramin 1-4; Ellie Watts 1-3; Emily Watts 1-3. Top Southern hitters: Johnston 2-3, Hager 2-4. Kylie Brouse and Leighton Chappell. Anna Steer and Hanna Hennigan. W: Brouse. L: Steer (1-2). Top Milton hitters: Taylor Cressner 2-3; Madi East 1-3, RBI. Top South Williamsport hitters: Ashley Gardner 1-2. Kylie Ward and Autumn Dietz. Alyssa Yungwirth and Sydney Tremper. W: Yungwirth (1-0). L: Ward. Top Wyalusing hitters: Sara Canella 1-2; Kylie Ward 1-3. Top Wellsboro hitters: Kailee Clymer 2-3, 3B, RBI; Sydney Tremper 1-3; Sarah Ingerick 1-3. Records: Wellsboro (2-0). Next game: Towanda at Wellsboro, Friday. Travis Bradley, Levi Lorson (4), Timmy Saar? (5) and (n/a). Brandon Feltman, Hunter Snyder (9) and Brandon?Stokes. W: Snyder. L:?Saar. Top Jersey Shore hitters: Allen?Saar 2-4, 2B; Lance Welsh 2-5. Top Milton hitters: Hunter Snyder 2-4. Isaac Bennett, Zach Bryun (5) and Eli Bennett. Joe Allen and Nick Tremper. W: Allen. L: Bennett. Top Wyalusing hitters: Holdan Hitchcock 1-3, 2B. Top Wellsboro hitters: Dawson Prough 3-4, 2B, RBI, 2 runs; Caleb Tennis 2-2; Cameron Tennis 1-3, 2B; Dalton Prough 2-3. Dylan Gordon and Jensen Drick. Kelly Holdren, Greg Lyons and Tyler Johnson. W: Gordon. L: Holdren. Top Montgomery hitters: Jensen Drick 2-4; Gage Yohn 1-2, 2 RBIs. Ky Seesholtz, Dominic Coombe (3) and Matt Grozier. Avery Eddy, Zach Fry (5) and Zach Cample. W: Eddy (2-0). L: Holtz. Top Central Columbia hitters: Grozier 1-2. Top Hughesville hitters: Zack Campbell 2-3, 2B, RBI; Adam Warburton 1-2; Ryan McClain 2-3; Trevor Gagliano 2-3; Alex Welch 1-2, 2B, 2 RBIs; Nate Hampton 1-1; Brittin Balliet 1-1. Jennings, Feltz (4), Newman (6) and Joyce. J.P. Shaw, Levi Adams (5) and Stephen Bohnert. W: Shaw (3-0). L: Feltz. Top Athens hitters: Feltz 2-2, run; Newman 1-3, HR. Top Mansfield hitters: Kipp Hilson 3-5, 2 runs; Levi Adams 1-2, 2 BBs, 4 runs; Bohnert 1-2, 3 RBIs; Carl Dinger 2-4, 2 runs; Dewey Wise 3-4, 4 RBIs, 2 2Bs; Brendan Hill 3-5, 3 RBIs; Shaw 3-3, 2 2Bs, 2 RBIs. Gideon Green and Pat West. W: Green, (2-0). L:Welshans, (2-2). Records: South (3-1, 3-1 HAC-III), Warrior Run (4-2, 3-1). Next game: Warrior Run vs. Millville, Monday. Top?Lewisburg hitters: Jack Marrara 1-3, 3 runs, 2 SB;?Sam Rosevear 1-4, 2 RBIs. Brycen Mussina, Owen Kiess (4) and Nolan Ott. Wonsik, Palmer (6), Leitzel (7) and Swanger. W: Palmer. L: Kiess. Sv: Leitzel. Top Montoursville hitters: Aiden Plants, 2B 3 runs; Kevin Fox, 2 RBIs; Brycen Mussina, 2 RBIs; Bryce Ranck, 2B, 2 RBIs. Top Shikellamy hitters: Kern, 2 RBIs; Kremer, 2B, RBI; Cunningham 2-3. Records: Montoursville (0-1). Next game: Montoursville at Selinsgrove, Friday. 1 Austin?Martin? (L) def. ?McGwire Molino, 7-5, 5-7, 10-4; 2 Bryce Brewer (SW) def. ?Jack Bomboy, 7-5, 7-6; 3 Sahil Bhagat (L) def. ?Mason?mcClain, 3-6, 6-3, 6-3. 1 Franklin Summerson/Brady Sahm (SW) def. Dann?Harrison/Alejandro, 6-0, 4-6, 6-2; 2 Andrew Czap/Max Oeler (L) def. ?Rory Foran/Spencer Karasek, 6-1, 5-7, 7-6 (4). 1 Kevin?Zheng (W) def. ?Colin?Payne, 6-3, 6-4; 2 Lucas Radulski (W) def. ?Casey Haas, 6-1, 4-6, 6-4; 3 Luis Orda’s (M) def. ?COnnor Pardoe, 4-6, 6-2, 6-4. 1 Nate Ripley/Liviu Renyolds (M) def. ?Ty Jackson/Michael LaBionc, 6-2, 6-2; 2 Joseph?Dinsmore/Pat Meale (W) def. ?Eric?Anderson/Blaine?Midkif, 6-3, 7-5. Records:?Williamsport (5-0), Montoursville (4-2). Next match: Mifflinburg at Williamsport,?Monday. 1 Kline Williams (CM) def. ?Steve Yordy, 6-2, 6-3; 2 Micah?Brinker (CM) def. Alex Pace, 6-2, 6-4; 3 Mitch?Wheary (CM) def. Andy Mcneal, 6-2, 6-3. 1 Jordan Confer/Jack Miller (CM) def. ?Joe Hackenberg/Brent Artley, 6-1, 6-2; 2 Casey?Williams/Matt Marasco (CM) def. Matt Strong/Cole Geiger, 6-3, 6-2. Next match: Lewisburg at MIlton, Friday. 1 Tyler Spinello? (L) def. ?Aidan?Kennedy, 6-2, 7-5; 2 Tim?Sprunt (L) def. ?Dhruv Kotru, 6-0, 6-0; 3 Carter Casimir (L) def. David Tuchman, 6-1, 6-1. 1 Jack Schroeder/Drew?King? (L) def. ?Andrew Tuchman/Nicholas Zotalis, 6-0, 6-1; 2 Ben?Higgins/Brandon Bedell (L) def. ?Josh?Marzak/Alec Beck, 1-6, 6-0, 6-1. 1 Tim Sprunt (L) def. ?Aidan?Kennedy, 6-1, 6-0; 2 Carter Casimir (L) def. ?Dhruv Kotru, 6-2, 6-2; 3 Jack Schroeder (L) def. ?David Tuchman, 6-4, 6-2. 1 Drew?King/Ben Higgins (L) def. ?Andrew Tuchman/Nicholas Zotalis, 6-2, 7-5; 2 AJ?Swanson/Piero Vernengo (L) def. Josh?Marzak/Alec Beck, 7-5, 6-4. Records:?Lewisburg (6-0). ?Next match: Lewisburg at Milton, Friday. 1 Tyler Dugan? (G) def. ?August Stoery, 10-0, 10-0; 2 Mitcoell Smith (G) def. ?zach?Fetzer, 10-0, 10-0; 3 Eli?Trimbur (G) def. Jonathan?Nelson, 10-0, 10-1; 4 David Rigas (G) def. ?Zach Roupp, 10-0, in first match; 4 Evan?Griffen (G) def. ?Zach?Roupp, 10-0, in second match; 5 Cooper Sunderlin (G) def. ?Hunter Drayer, 10-0, 10-0. 1 Joel Brelo/Joel?Griffen? (G) def. Evan?Berkihiser/Jonathan Nelson, 10-5, 10-2, in first match; 1 Evan Griffen/Joel Griffen (G)?def. ?Evan?Berkihiser/Jonathan Nelson, 10-5, 10-2, in second match. 2 James Quinn/David Stedman (G) def. ?August Stoery/Zac Kerstetter, 10-3, in first match; 2 Devin?Hager/David Steadman (G) def. ?August Stoery/Zac Kerstetter, 10-2. 1 Todd Sanford (JS) def. ?Aiden?Finnerty, 6-2, 6-3; 2 Garett Benner (S) def. ?John?Dudas, 6-4, 6-1; 3 Jonny Linn (S) def. ?Ezekiel Miller, 6-0, 6-2. 1 Jake Butzler/Dominic Maneval (JS) def. Eric?Martin/Steven Ponekaslski, 7-5 (TB, 12-10); 2 Jonah Markle/Ben Sharpless (S)?def. ?Luke Bischoff/Connor Anderson, 6-3, 6-2. 1. Joe Kavelja (B) def. Ethan Burns 6-0, 6-0; 2. Cong Zhang (B) def. Nick Sharayko 6-3, 6-4; 3. Braden Foresman (H) def. Adam Kopitsky 6-3, 6-4. 1. Colin Kruczek/Logan Chorba (B) def. Parker Voitek/Dylan Lawson 6-3, 7-6; 2. Gabe Zimmerman/Pat Haley (B) def. Rylan Hicks/Eric Karschner 6-2, 7-6. Records: Hughesville (1-4). Next match Hughesville at Towanda, Saturday. Javelin: 1 Thompson, H, 90-9; 2 Pollard,?SCA, 86-11; 3 Hunter, SCA, 85-0. Long jump: 1 Holiday, SCA, 14-9; 2 Getz, H, 14-4; 3 Roadarmel, SCA, 13-6 1/4. Shot put: 1 Stackhouse, H, 30-8; 2 Roadarmel, SCA, 30-4; 3 Pollard, SCA, 25-7.?Pole vault:?1 Adamski, SCA, 9-0; 2 Peterman, H, 7-6; 3 Mowery, SCA, 5-6. Discus: 1 Stackhouse, H, 97-3; 2 Moyle, SCA, 79-1; 3 McKinley, H, 75-2. Triple jump:?1 Haladay,?SCA, 32-1; 2 Getz, H, 31-11 1/2 3 Burd, SCA, 31-11. High jump: 1 Oleyee, SCA, 4-8; 2 Rodriguez, SCA, 4-6; 3?Leighow, H, 4-2. 110 hurdles: 1 Gardner, H, 16.2; 2 Fetterman, SCA, 17.5; 3 Manley, SCA, 17.6. 3200 relay: 1 Southern (Houseknecht, Wynn, Houseknecht, Knoebel), 10:36.4. 100:?1 Spring, H, 11.7; 2 Blusius, SCA, 11.7; 3 Reynolds, H, 11.8. 1600: 1 Knoebel, SCA, 5:14.2; 2 Houseknecht, SCA, 5:26.6; 3 Merrifield, H, 5:38.1.?400 relay: 1 Southern (Marzeski, Thomas, Evans, Blaisus), 47.5. 400: 1 Myers, SCA, 56.1; 2 Wynn, SCA, 59.0; 3?Guinter, H, 1:00.2. 300 hurdles: 1 Marzeski, SCA, 43.8; 2 Gardner, H, 44.1; 3 Fetterman, SCA, 48.2. 800: 1 Houseknecht, SCA, 2:26.8; 2 Davis, SCA, 2:44.9; 3 Pachucki, H, 2:50.0. 200: 1 Reynolds, H, 25.1; 2 Manley, SCA, 25.2; 3 Palacz, SCA, 25.9. 3200: 1 Knoebel, SCA, 11:10.4; 2 Houseknecht, SCA, 11:28.9; 3 Merrifield, H, 12.16.2. 1600 relay: 1 Southern? (Myers, Wynn, Blasius, Marzeski), 3:55.8. Javelin: 1 Derhammer, H, 148-4 1/2; 2 Yoder, SCA, 145-11 1/2; 3 Knepp, SCA, 145-11. Long jump: 1 Brecht, SCA, 18-5 3/4; 2 Spring, H, 17-0 3/4; 3 Haupt, SCA, 16-1 3/4. Shot put: 1 Yoder, SCA, 44-8; 2 Knepp, SCA, 43-10; 3 Dauberman, H, 36-8. Pole vault: 1 Croall, SCA, 10-6; 2 POtter, SCA, 10-0; 3 Savage, H, 10-0. Discus:?1 Knepp, SCA, 107-3; 2 Donlan,?SCA, 103-8; 3 Dauberman, H, 97-6 1/2. ?Triple jump: 1 Brecht, SCA, 38-1; 2 Spring, H, 37-3; 3 Haupt, SCA, 36-0. High jump:?1 Gardner, H, 5-6; 2 Woods, SCA, 5-4; 3 Ryan, SCA, 4-10. LHU goals:?Hope Thomas? (2), Alex?O’Herrick (1), Hayley Killian?(1). Assists: Hayley Killian (2). West Chester goals:?Ashley Pyle (6), Hannah?Cowan? (4), Sami?Barnett? (2), Caroline?Kuchinsky (1). Assists:?Dina Cifelli (4), Olivia Martin (2), Kristen?Vath (1), Hannah?Cowan (1). Shots: LHU 17, WCU?23. Shots on goal:?LHU 8, WCU 18. Saves:?LHU 5 (Hannah?Houde), WCU 4 (Paige Mitros). Records: Lock Haven? (9-2, 5-2 PSAC), West Chester? (11-1, 6-1 PSAC). Messiah goals:?Blake Knobloch 4; Trey Hanshew 3;?Isaac Zorn 2;?Matthew Franken 2;?Joseph?Franken 2; Luke Hall 1;?Dylan?Gillisse 1;?Noah?Wright 1. Assists: Ryan Von?Bochoven 2;?Tyler Goglio 1;?Luke Hall 1;?Blake Knobloch 1;?Isaac Zorn 1. Lycoming goals: Peter?Pluta 2;?Sean Reilly 1;?Tim Breau 1;?Travis Rode 1. Assists:?Mike Cooper 2;?Peter Pluta 1;?Sean Reilly 1. Shots:?M 42, L 21. Saves: M 7 (Sam?Stengel 7, T.J.?Cole 0), L 12 (Josha Tscheulin 4, Michael Tenant 8). 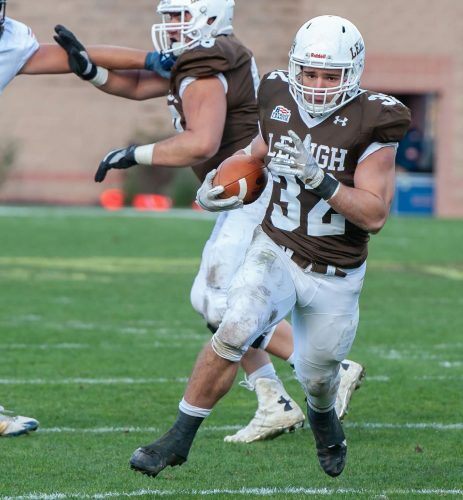 Records: Messiah (5-5, 1-1 MAC), Lycoming? (2-7, 1-1 MAC). Connor Van Hoose, Hunter Robichaux (3), Tommy Gambon (4), Ausitn Zimmerman (5), Mike Stephens (6), Max Kra (6), Jack Schoenberger (7), Danny Rafferty (8) and Evan Klugerman. D. Teller, Van Woert (2), B. Contendo (6), N.?Grant? (7), T.?Baker? (7), T.?Johnson (9) and T.?LaCongo. Top?Bucknell hitters: Brett Smith 2-5; Danny Rafferty 2-5; Joe?Ogren 3-4, 2 RBIs; Spencer Stokes 2-4; Aaron Fritz, HR. Top?St. ?Bonaventure hitters: Johnson 2-4, 2B, 3 RBIs; Dilts 2-4, 2 RBIs; Vaccaro, 2B. Chupick, Mitchell (2), Hurlburt (6) and Masser. B.?Walter, L.?Zamiskie (7) and C.?Doherty. Top Penn?College hitters: C. Hoffman 2-3, 2B; C.?Weachock 3-4, 2B, 3?RBis; N. Esposito 3-4, 2B, 2 RBis; Vandergrift 2-4, 3B, 3 RBis; C. Rodriguez, 2B; Jeremy Rall, 2B. Raup, VanBuren (5), Galvin? (6), Rodriguez? (6) and A. Masser. A. Palmer, A. Gilbert? (7) and D.?Masser. Top Summit hitters: Greathouse 2-3. Top Penn College hitters: Jeremy Rall 2-3, 2B; E. Suri 2-3, 2B; Vandegrift, 3B; D.?Scaringi, 2B; R. Whitmyer, 2B. C.?Allen and B. Notte. Rachael Shady and Kelcie Crabb. Top Messiah hitters: A. Jones, 2B; S.?Boreman, HR. Top?Lycoming hitters: Kristi Weaver, 2B; Kelcie Crabb 2-3. C. Fix, M.?Yannetti (4) and B. Notte. Kristi Weaver and?Kelcie Crabb. Top Messiah hitters:?B. Pompeo 4-5, 2B, 3B, 3 runs; B. Notte 3-5, 2B; A. Jones 2-4. Top?Lycoming hitters: Ashley Schoenstadt 2-4, 3B; Samantha Fischer 2-3. Records: Lycoming (11-12, 1-7 MAC).